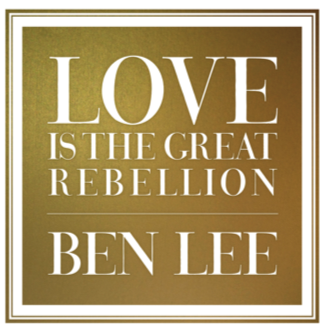 Australian singer, songwriter Ben Lee has confirmed a U.S. tour to coincide with the release if his Warner Bros. Records debut album, Love Is the Great Rebellion, which will be released on June 2nd in the U.S. click here to pre-order. The first single from the album,“Big Love,” was released on 7″ vinyl on Records Store Day. Click here now to listen! Love Is The Great Rebellion finds the Sydney, Australia, native returning to his roots reminiscent of his 2005 album Awake Is The New Sleep, which went double-platinum in Australia and spawned the hit “Catch My Disease.” Lee re-teamed with Awake‘s producer Brad Wood to record Love Is The Great Rebellion (Liz Phair, Veruca Salt), who Lee has worked with extensively over the course of his nine solo albums, including 1995’s Grandpaw Would, 1997’s Something to Remember Me By, and 2009’s The Rebirth of Venus. Ben Lee first gained prominence in the US at the ripe old age of 14 years, when his self-recorded / DIY single “I Wish I Was Him” with band Noise Addict caught the attention of Sonic Youth’s Thurston Moore and the Beastie Boys’ Mike D. Moore’s Ecstatic Peace! imprint issued Noise Addict’s 10″ vinyl EP, Def in 1993. In 1995, the Beasties fledgling label Grand Royal, followed with the release of their Young & Jaded EP. As previously mention, Lee has also just self-released A Mix Tape From Ben Lee, which is available for download here. Fourteen years in the making, the Mixtape features vocal contributions from Zooey Deschanel,Ben Folds, Azure Ray, Sean Lennon, Neil Finn, and others. The Mixtape recordings are available on a “donate what you want” basis, beginning at $1, with all proceeds going to the Q’Ero Project, which supports the basic needs and development of the Q’ero people of Peru.